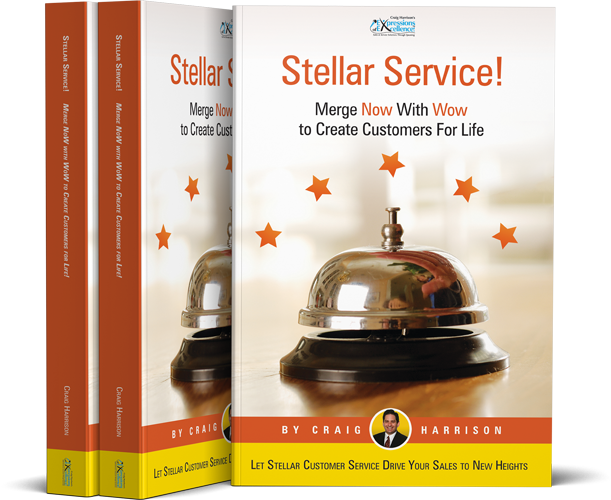 Merge Now with Wow to Win Customers For Life! Learn basic and advanced techniques for delivering exemplary service in person, on the phone, through e-mail and also delight difficult customers. 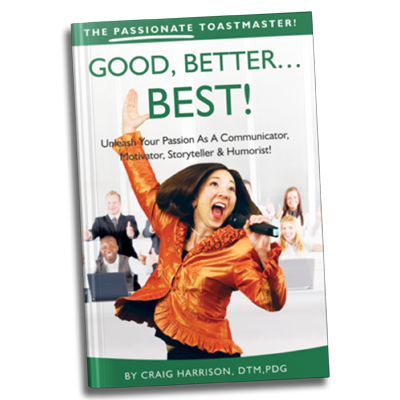 This book includes haiku, a quiz, service tips, a Bingo-styled training game and other nuggets. 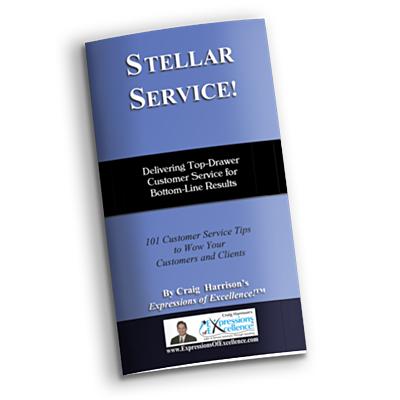 101 Top-Drawer customer service tips for bottom-line results. Improve service for customers, clients, members, co-workers, and more. Tips for face-to-face, telephone and virtual interactions, solving problems, developing excellence and much more. Bulk and customized options available on request. 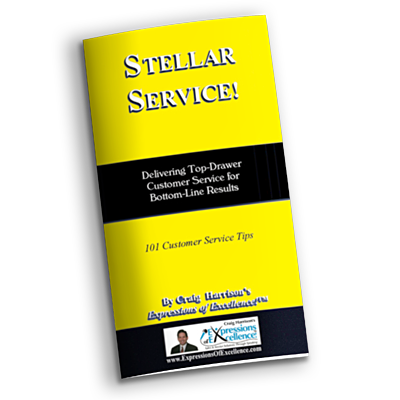 101 Top-Drawer customer service tips for bottom-line results for supervisors, managers and team leaders. Learn to model, coach, motivate and reward service, in person, on the telephone, through email and also how to resolve service hiccups. Build a culture of service and excellence when you follow these tips! Cultivate the Leader In You! Coaching aspiring and emerging leaders to fulfill their destiny as leaders. 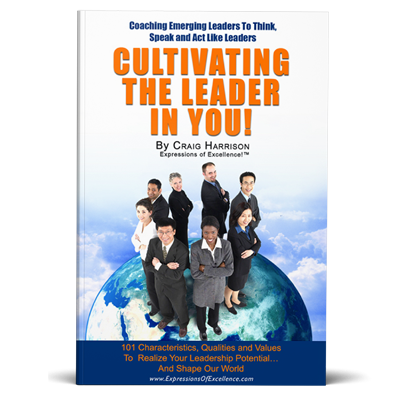 Includes tips on how to make the ask to recruit other leaders. 101 tips, plus bonus content on how to “make the ask” to recruit board members, team members and volunteers in ways that are powerful, respectful and build trust. 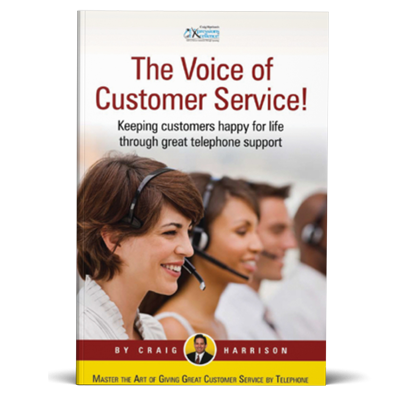 How to deliver great customer service using the telephone. Covers vocal variety, recording effective outgoing messages, speaking the language of service, actual phraseology, tone, understanding meta-messages, how to engage and disengage from various types of customers, and much more. Learn to make a great first impression, speak the language of benefits, position yourself and wow ’em with your powerful elevator speech! Full of examples from different fields for men and women to model theirs after. Showcase your uniqueness, get asked questions and begin to form new business relationships that can last a lifetime, all in the time it takes to ride an elevator with a stranger…16 seconds. Going up? You bet you are…with your Elevator Speech! Celebrate your Hero’s Journey, become TED-worthy, achieve your Bucket List goals, be known for veracity, prospect your past for personal stories and so much more in the third in Craig’s series. This edition has a strong focus on leadership. 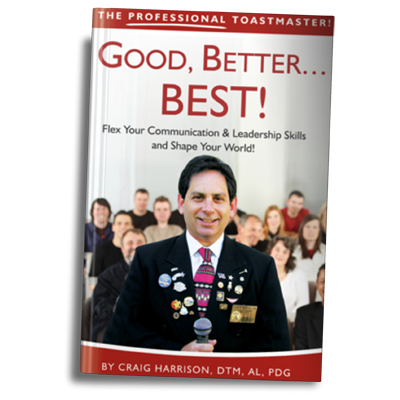 Unleash your power as a communicator, improve your storytelling, add more humor, become a more well-rounded member and deliver excellence and communicate with clarity and confidence. 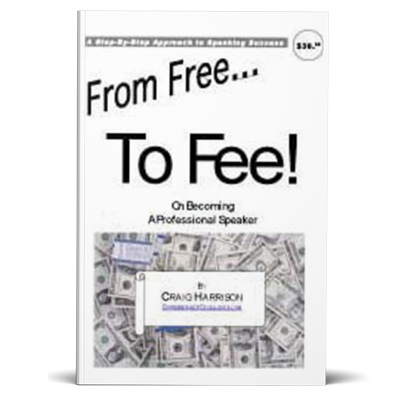 This book’s focus is largely on personal development. 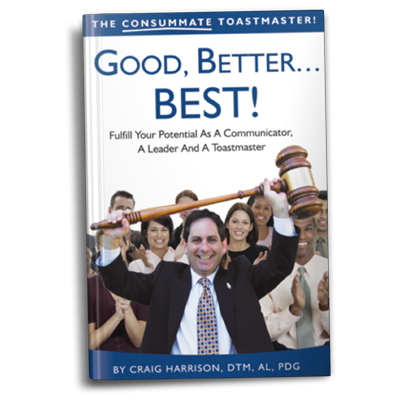 This book contains instruction on workplace development, meetings, leadership development, club and district success and next steps to help you become a professional Toastmaster! This book’s emphasis is heavier on workplace success. 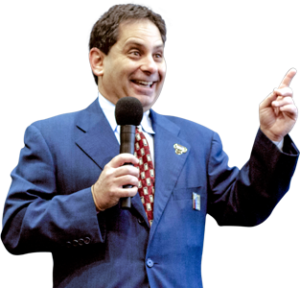 Your step-by-step guide to becoming a professional speaker (includes templates and sample forms). 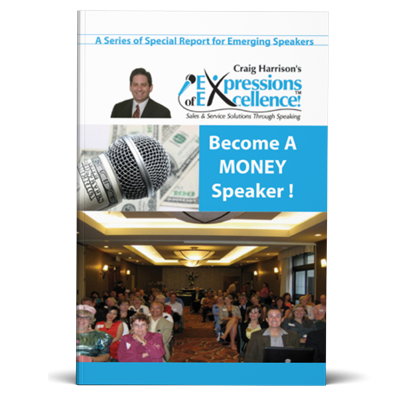 Learn how to get paid to speak: be audience-centered, find your topic, use fun ice-breakers, deal with difficult audiences, customize and so much more.